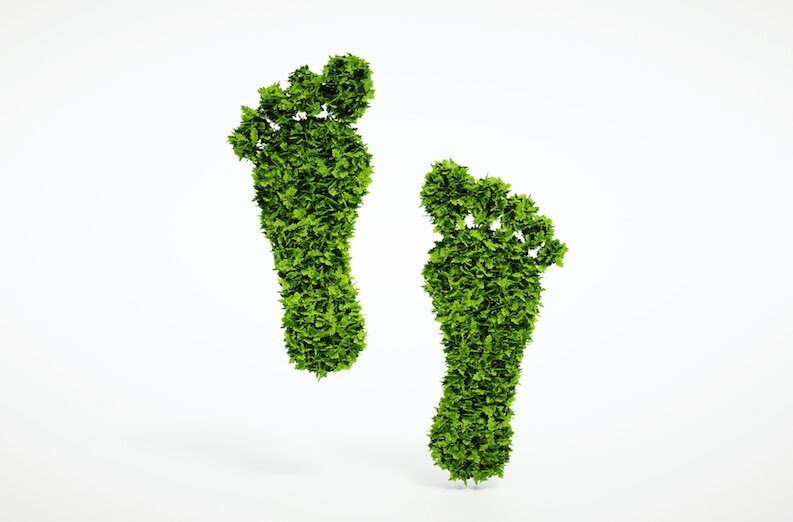 Here is 9 ways a plant based diet helps improve our planet. An astonishing 30% of all the ice-free surface area of the Earth is currently being used to either rear livestock or grow food to feed those animals. As the global population grows and developing countries increase their wealth and prosperity, meat consumption is expected to double within the next 30 to 40 years. At this rate, it doesn’t take someone with a university degree in higher mathematics to work out that something’s got to give. Around 308 million tonnes of meat is currently being produced globally each and every year, making the average human’s meat consumption just under 95 pounds (43 kilograms) per year, that’s including all the vegans, veggies and babies, too! What happens when the global population goes to 10 billion and beyond? Maintaining a plant-based diet is thought to use around 20 times less land than that of someone who eats meat as the crops grown are being eaten directly, not used to feed animals. 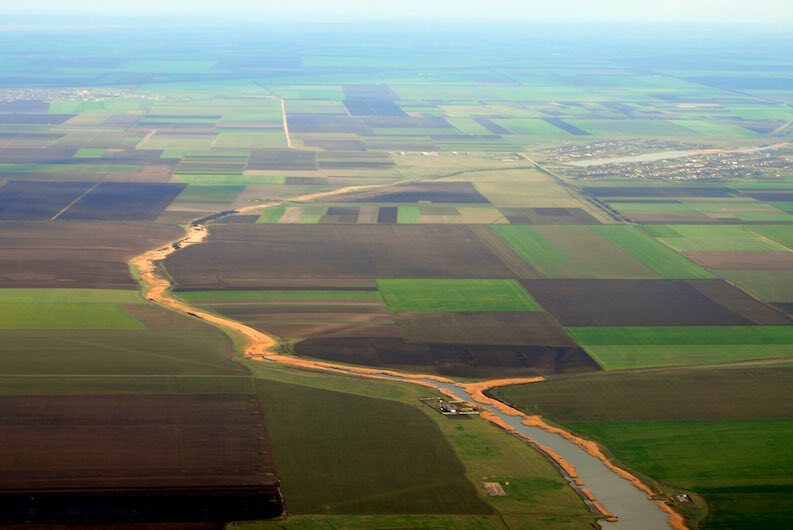 Just one hectare of cropland designated to growing either rice or potatoes can feed up to 22 people. That same hectare when used for meat production can feed around one or two people. Rearing livestock is an extremely inefficient means of food production, which leads us on to our next point. Raising animals for food is extremely energy intensive. In fact, it is thought that meat takes as much as 75 times more energy to produce than corn. Every part of the meat production process requires electricity, making it a huge drain on the world’s energy resources. Some studies even suggest that as much as a third of al the fossil fuels used in the United States goes towards animal agriculture. Unsurprisingly, beef production is the main problem as it requires a lot more resources to bring the end product to the dining table, not to mention the methane issue mentioned below. However, all forms of animal agriculture impact on our energy usage far more than plant production ever will. The reason why is simple – it’s way more efficient to grow a crop and eat it ourselves than to grow a crop, transport that crop to livestock so that they can consume it before we, in turn, eat the animal. While it is certainly true that fruit and vegetable production still makes use of modern technologies and transportation methods that all use energy, the levels that they use are undeniably less than that of the animal agriculture industry. Among the greatest environmental reasons to go vegan is the increasing water scarcity being experienced across the globe. Many of us do not realise just how precious that stuff we draw from the taps in our kitchens and bathrooms is. 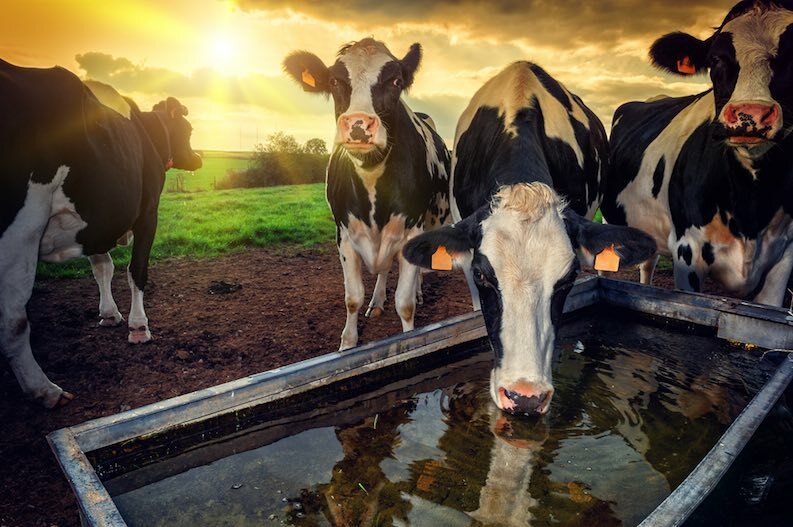 Fresh water is in increasingly short supply, and animal agriculture is, again, adding to the problem. We are now so far removed from what we put into our mouths it is easy to forget that whenever we eat a steak or a rasher of bacon we actually consuming an animal that has needed to be fed and watered in order to get it to our table. The amount of water used to rear livestock is, quite frankly, frightening. Just one pound of beef takes an astonishing 2,500 gallons of water – that’s enough to keep a US family of four going for around 6.25 days! But the problem doesn’t end with meat consumption. It takes around 900 gallons of water to produce a pound of cheese, 477 gallons for the equivalent weight in eggs, and a 1,000 gallons of water to make just one gallon of milk. Water scarcity is very real. Around 1.1 billion people worldwide still lack access to decent water supplies and a grand total of 2.7 billion struggle to find water for at least one month of the year. Lakes, rivers and aquifers across the globe are drying up or becoming to polluted to be used by humans. Climate change is obviously a huge contributing factor, but ditching animal products can make a difference, too. Pollution is reaching crisis point across the planet, and animal agriculture has a lot to do with the continued poisoning of our land, air, seas, oceans, lakes and rivers. Multiple factors are at work here. From the waste that farms create to the chemicals that are used in the factory farming process, all are having a dramatic impact on the health of planet. Nutrient run off is getting into our rivers which then feeds into our oceans and our seas causing huge “dead zones”, killing off the marine life that would ordinarily thrive in coastal regions. The air that we breath is being adversely affected by the release of huge amounts of ammonia, hydrogen sulfide and methane, and the land surrounding factory farms is often polluted when “waste lagoons” leak, break or overflow. Then there is way in which these cesspools are emptied. Believe it or not, these lagoons of excrement and urine are being spread across large areas of land by giant sprays, some of which are dangerously close to human homes. Of all the environmental reasons to go vegan, the subject of climate change, and the impact that animal agriculture is having on it, is probably the most widely discussed. As well as all of the waste that they create, the cows, sheep, chickens and pigs that we are breeding for food also do a whole lot of farting and belching, too. All of that wind is entering the atmosphere, and a large portion of it comes in the form of methane. Methane is thought to be somewhere in the region of 25 to 100 times more harmful than CO2 across a 20 year timeframe. Cows alone produce around 150 billion gallons of methane per day. A UN climate summit back in 2014 said that reducing the amount of methane that is released into the atmosphere would create tangible benefits almost straight away. So, wouldn’t it make sense for all of us to do whatever we can to lessen the impact that this noxious gas is having on our environment? This is the bit where people jump up and say, “Well, what about CO2 emissions?”. Livestock rearing, and all that comes with it, is thought to produce up to 32,000 million tons of CO2 every year. That’s roughly around 51% of all worldwide greenhouse gas emissions. The study, Livestock’s Long Shadow, claims that animal agriculture is responsible for more greenhouse gas emissions than that of all exhaust from every method of transportation combined. That’s cars, trucks, planes, boats, trains, the whole shooting match. So, is it any wonder why the issue of climate change is one of the biggest environmental reasons to go vegan? Many make the mistake of thinking that deforestation is largely for timber, but it isn’t. Much of the deforestation happening in the tropical rainforests of the Amazon and beyond is due to agri-business. Cattle ranching in these areas is a huge problem, with some reports stating that as much as 91% of the destruction in the Amazon is due to animal agriculture. 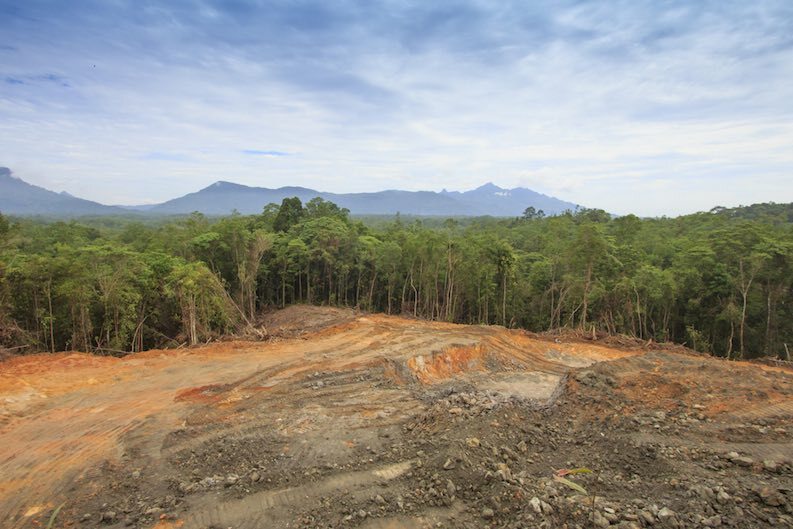 Across the planet, a mind-numbing one to two acres of rainforest is being cleared every second of every day. Over the course of a year, that’s an area twice the size of Florida. The growing expansion of animal agriculture in areas such as the Brazilian Amazon is causing land degradation on a scale that we have hitherto never experienced before. 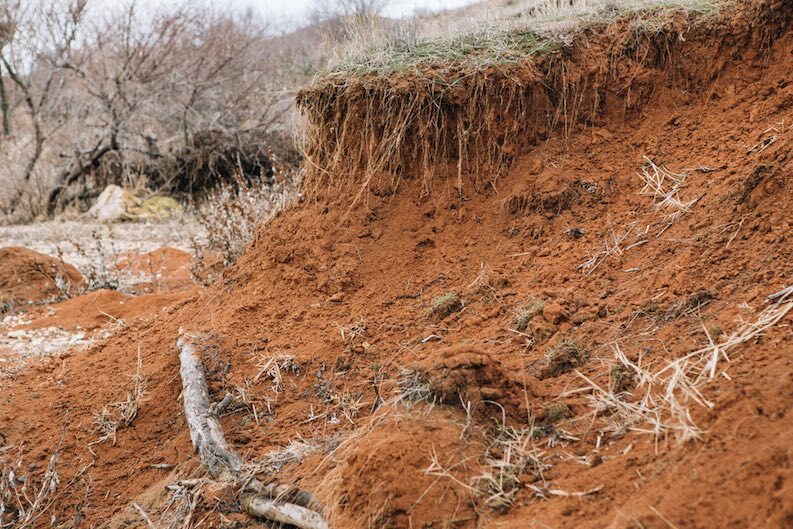 The deforestation mentioned above, coupled with the compaction and soil erosion caused by overgrazing is, causing the makeup of the land to change dramatically. Not only is the physical makeup being affected, but also the biological and chemical composition, too. Grazing areas are frequently found in places that can dramatically affect both the settlements and the agriculture downstream of them, causing massive disruption and, consequently, greater destruction further down the line. According to the WWF, over half of the planet’s top soil has been lost over the last 150 years. Loss of fertile land is not the only issue either. 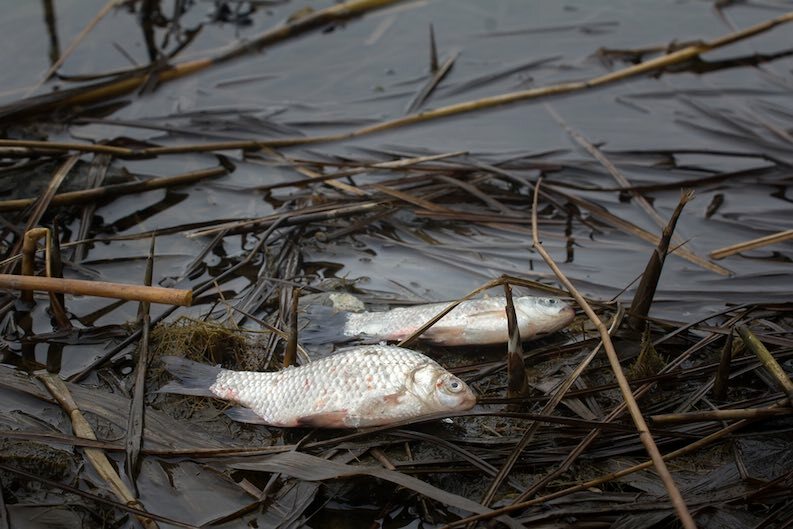 As the soil degrades, so the pollution in surrounding streams and rivers increases, causing fish stocks and other aquatic life to dwindle and deplete. Land degradation is a very real and very critical problem facing the world today, and rearing meat for food on such a grand scale is only exacerbating the issue. The amount of chemicals being used in modern farming is quite astonishing. Herbicides, pesticides, fertilizers and antibiotics are just some of the wider chemical groups being sprayed, pumped and injected onto crops and into animals every day. This overuse of chemicals, many of which simply didn’t exist 50 years ago, is causing massive problems, and much of it is due to the high concentrations of monocultures being grown across the world in order to feed livestock. High-calorie grain-based diets are the fastest way for the meat industry to fatten their stock and turn a profit, so it’s little wonder that, on average, around 40% of all grain grown is being used for livestock feed (this can reach 70% in wealthier countries). However, such intensive farming and the quest for ever faster growth leads to problems for the animals being reared, so the next phase of chemical warfare comes into play – antibiotics. 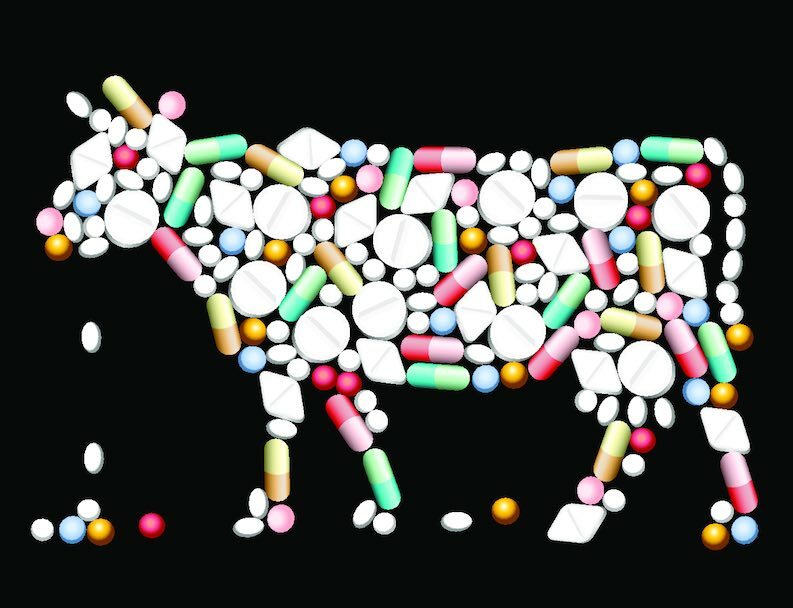 A 2013 summary report published by the FDA showed that in 2011 a total of 13.6 million kilograms of antimicrobials were bought solely for the use of rearing food-producing animals in the US. These drugs are used mainly for the purpose of growth stimulation. Now, 13.6 million kilograms sure sounds like a lot, but it’s hard to get your head around just how much that is until you read that that figure constitutes 80% of ALL antibiotics sold in the United States that years. EIGHTY PERCENT! These animals are pumped so full of chemicals it’s hardly surprising that antibiotic resistance is being reported more frequently and that infection rates in humans is increasing as a result. Last on our list of environmental reasons to go vegan is possibly one of the saddest on them all – species extinction. Whether it happens because of habitat loss, pollution or the insane killing of so-called “competition’ species and predators that threaten livestock numbers, animal agriculture has a big part to play in the rapid loss of animal species happening across the world today. Professor Norman Myers has stated that we are currently going through the largest mass extinction in 65 million years and, according to a report by the Secretariat of the Convention on Biological Diversity, as many as 150 species are being lost every day.